It’s hard to believe that the Holy month of Ramadhan is just around the corner! As always, when it comes to Eid-Ul-Fitr season, women are constantly in a dilemma on what to wear for that meaningful day! Every woman will make sure to look as amazing as they could. It’s all because your outfit speaks before you open your mouth and that’s why we totally understand the desperation you’re facing as we know that your outfits affect other people's impressions of you. Don’t worry, we’ll help you in searching for the perfect dress for you. So, how can you shine in the crowd and be different from others? Here’s our pick which never fail to get our attention every Eid preparation. Ain’t no other fashion designer – Melinda Looi! Melinda Looi is an established Malaysian fashion designer under her own label – Melinda Looi. Melinda Looi is known with her great collaboration with celebrities such as Sazzy Falak, Atilia, Daphne Iking and many more. All her designs will catch your eyes instantly! 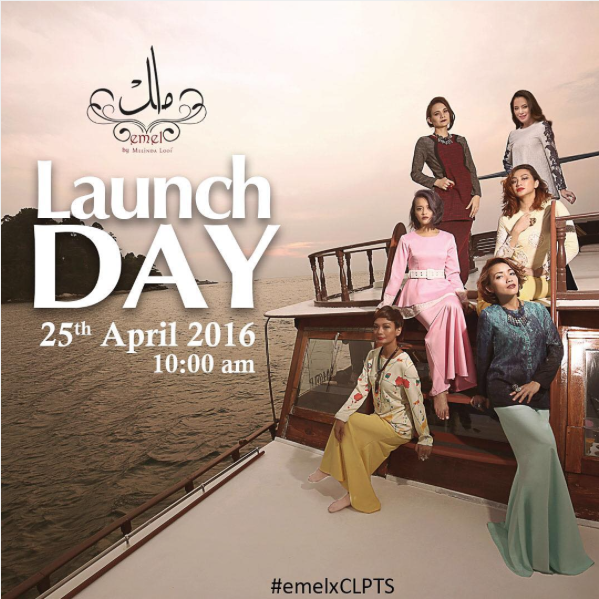 This new Eid 2016 EMEL X CLPTS collection is setting forth its concept called Colours of the Sea that emphasizes the colorful fun collection which is inspired by the beauty, colors and serenity of underwater life. Even though most of the clothes designed by Melinda Looi is not affordable by most of us in Malaysia as the prices is quite high but with the quality it provides, trust me, it’s worth every penny! Now, the question is where to find it? Apart from the boutique, you can look for it in the shopping malls like Pavilion, Kuala Lumpur and Freeport A’Famosa Outlet, Malacca. You also can have your iftar here as these malls provide an array of restaurant with special iftar meals. So, we think it will fit your plans anyday. Just so you know, the price range for this Melinda Looi’s new Eid collection starts from RM 320 till RM 535. So, girls! What are you waiting for? You better save your money now. If you wanna look pretty, you gotta spend it right. We know that you’re super excited to show off your Eid outfit on Instagram! P/S: Maybe you can ask your man to buy one for you (which you need to remind him from now – with love!) LOL.